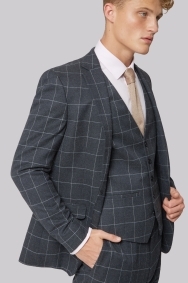 This Moss London suit comes in a Skinny Fit cut, and has an eye catching Charcoal Windowpane fabric. Still awaiting refunded after 10days of returning the item online! 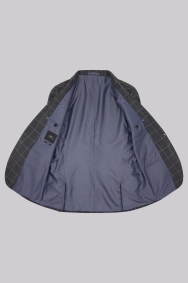 Superb jacket that fit well. Perfect fit and quality .. I'm sure they have lost my order. Almost missed a friend's wedding because of not getting my outfit on time. Had to figure something else in the end. 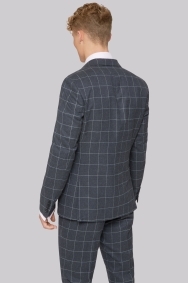 Bought as part of a suit. Good quality and good fit. 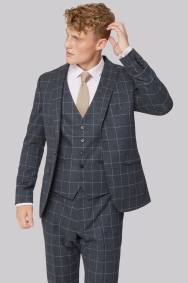 Great suit, my son loved it, although the trousers were slightly tight on the waist, but not enough to change size! Great but not skinny fit.